One or more photo(s) has been virtually staged. This beauty is what you have been looking for! Elegance and space in an ideal location awaits in the prestigious community of Enclave at Tuscany. 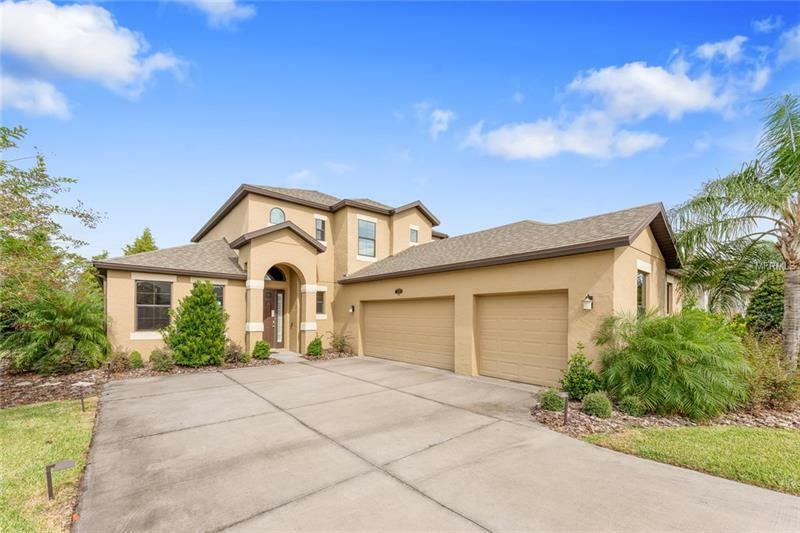 Surrounded by pristinely groomed landscapes, this beautifully designed home has been meticulously cared for and is located in the heart of Lake Mary. This stunning home provides large open concept living areas, a FIRST FLOOR FLEX ROOM/OFFICE, volume ceilings, easy care TILE & HARDWOOD floors, and a 3-CAR GARAGE with voluminous storage opportunities. The CONTEMPORARY KITCHEN is designed with the home chef in mind boasting STAINLESS STEEL APPLIANCES including DUAL OVENS, modern countertops, 42" SOLID WOOD cabinets, BUTLERâS PANTRY, a breakfast bar, and an EAT IN NOOK. Escape to your FIRST FLOOR MASTER SUITE and relax in the master bath boasting DUAL SINKS, LARGE WALK IN SHOWER and a massive WALK IN CLOSET. Upstairs you will find the SPACIOUS LOFT perfect for a gaming zone, art space, flex room or whatever your heart desires! Enjoy nature and plant a garden in the well-manicured backyard with wrap around stone walkway. The Enclave at Tuscany is located less than 5 minutes from I-4 and SR 417 as well as a short drive to all the shopping, dining & entertainment you could wish for. A premier location centered amidst access to shopping and dining, Zoned for TOP RATED SEMINOLE COUNTY SCHOOLS, in close proximity to the SunRail Station and the Lake Mary business corridor of International Parkway. This is the ideal home to create memories for years to come!